TWO tenders for the catching and culling of stray dogs roaming free in some parks have upset civic society groups and dog lovers. Called by the National Parks Board (NParks), one contract is for removing 20 stray dogs from Ang Mo Kio Town Garden West, and the other, for 15 to be rounded up in East Coast Park, Changi Beach Park or Pasir Ris Park. When contacted, NParks told The Straits Times that it was appointing an external agent to remove the dogs in response to the more than 100 complaints it has received in the past year from members of the public. NParks' general manager of parks Chia Seng Jiang said park users or their pets have been chased and nearly bitten, and that public safety was NParks' primary concern. But Action for Singapore Dogs (ASD) and other animal-welfare groups are distressed that the contractors who eventually clinch the tenders may not use humane methods in rounding up the dogs or putting them down. The NParks tenders call for the contractor to provide 'paper evidence' of the culling; the contractor has nine months to do the job, and will be paid when documentary proof is shown for each animal caught and euthanised. NParks clarified yesterday that the contractor must send the animals to the Agri-Food & Veterinary Authority (AVA) to be euthanised. Online forums like Facebook got wind of the tenders on the Government's e-procurement portal GeBiz on Tuesday and started buzzing. Ms Bhavani Prakash, founder of an environment website here, said in an online post that it was 'cruelty to the animals'. 'We should know the methods used, and consider a holistic treatment of stray dogs to take a longer-term view,' she later told The Straits Times. Separately, Society for the Prevention of Cruelty to Animals executive director Deirdre Moss acknowledged that stray dogs presented a safety issue, but said urbanisation and pet abandonment lay at the root of the problem of strays. 'It's not the dogs' fault they're out there. There was a beginning and the root cause was probably abandonment. Either way you look at it, there's no happy solution all round,' she said. Mr Chia said NParks has been monitoring the situation with the AVA, and because of the number of strays involved, decided to engage an external contractor to catch them and get them culled. He said dog catchers are required to use humane methods that comply with established guidelines on the capture, transportation and handling of stray animals. An AVA spokesman said all caught stray animals must be surrendered to it to be put down. AVA also does its bit to manage stray dogs. When it receives complaints, it sends its officers to catch them and put them down humanely; sometimes, it hires external contractors for the job. It confirmed that contractors are not allowed to use poisoned bait. But ASD president Ricky Yeo said his group and other animal-welfare agencies want more to be done: They want the operating procedures for contractors spelt out, to ensure that humane methods are used. And instead of culling the dogs, he proposed they can also be caught and sterilised to control breeding. The more humane solution is to work with animal-welfare and non-government groups to see whether these strays can be housed and rehabilitated, and to explore sterilisation for other strays in the long run,' he said. But those who have been terrorised by these strays also want a say: Mr H.B. 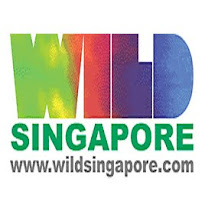 Choo, 60, who lives near Ang Mo Kio Town Garden West, told The Straits Times that the strays - there are at least eight of them in the area - have chased residents and children. THE 35 stray dogs that the National Parks Board (NParks) wanted removed from two parks will no longer be put down, but sterilised, micro-chipped and sent to a shelter instead. The Straits Times understands that the change came about after animal welfare groups met NParks on Monday. The decision, welcomed by the animal groups, is the latest development that began with The Straits Times' report last week that NParks had called two tenders for the catching and culling of 20 stray dogs in Ang Mo Kio Town Garden West, and 15 more in East Coast Park, Changi Beach Park or Pasir Ris Park. Upset civic society groups and dog lovers had said they could not be sure the dogs would be humanely handled and culled by appointed contractors. NParks explained that it was calling the tender on the back of some 100 complaints from park users after people or pets had been chased and nearly bitten. Now, after talks with the Society for the Prevention of Cruelty to Animals (SPCA), wildlife group Animal Concerns Research and Education Society (Acres), Action for Singapore Dogs, and Mutts & Mittens animal shelter in Pasir Ris, the dogs will still be rounded up but not put down. They will be sterilised and micro-chipped, probably with at least partial financial support from NParks. They will then be sent to Mutts & Mittens, which will try to find homes for them. In addition, the animal welfare groups will likely be allowed to observe the dog trapping, to ensure it is done humanely. Acres founder Louis Ng said that all NParks wanted was for the animals to be removed for park users' safety, but that it should have consulted the public before making the decision. He said that although there were some complaints, many other park users were concerned about the culling of the dogs. Mr Cohen Ng, the director of Mutts & Mittens, conceded that mongrels and former strays could be tough to rehome. He noted that Housing Board rules prevent flat-dwellers from keeping larger dogs, and that many potential adopters have the impression that mongrels are 'wild and not trainable', which he dispelled as a myth as they can be 'just as affectionate as pedigree dogs'. 'But we're taking the chance and trying to find them homes,' he said. WE SHARE the National Parks Board's (NParks) concerns with regard to public safety, but is culling dogs a long-term solution? ('Some upset over call for tenders to cull strays'; last Saturday). We understand that its decision was 'in response to the more than 100 complaints it has received in the past year from members of the public'. Can NParks clarify how many people actually complained, as each person might have complained more than once? We should also bear in mind that thousands of people have used the parks and have not complained, and are concerned about the culling of dogs. Any decision made should also consider the sentiments of this group of park users. Lastly, can NParks clarify if it has consulted animal welfare groups like Action for Singapore Dogs or the Society for the Prevention of Cruelty to Animals to find alternative solutions before it called for the tenders? As stated in the article, a more humane solution is possible and should be looked into as well. I REFER to last Saturday's report on the National Parks Board (NParks) calling for tenders to cull stray dogs in some parks ('Some upset over call for tenders to cull strays'). Culling of strays is a short-term answer. The long-term solution is to work with animal rescue groups on neutering and releasing strays. Controlling the stray population can be done humanely. It is unfair to round up strays just because some people think they will hurt someone. I have never seen a stray that does not run off when approached. But I have seen people taunting them with sticks and stones. Children harass and corner them, only to run away like raving banshees at the slightest reaction, and upset parents subsequently label strays as dangerous and a nuisance. The money NParks has set aside for contractors to cull the dogs would be better spent on veterinarian fees to have them sterilised. Alternatively, give animal rescue groups time to carry out the neuter-and-release project.